In my family, we each have our favorite comfort foods for winter. My 11 year old’s favorite is a cozy bowl of chili, while my nine year old warms up with a burrito. My husband goes for nachos, and me, well, I’ll take a grilled cheese sandwich on the sofa with a blanket and a roaring fire next to me, please. 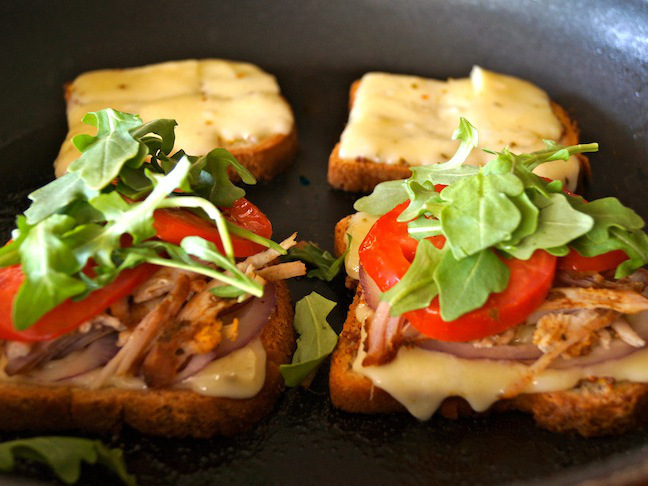 It’s right about this time of year when this pulled pork grilled cheese sandwich makes its appearance. It’s unbelievably delicious—and makes great use of leftover pulled pork if you have it around. I’ll make a batch of this Perfect Pulled Pork and we’ll do chili or tacos one night, and these sandwiches the next. The pork is so tender and full of warming spices. 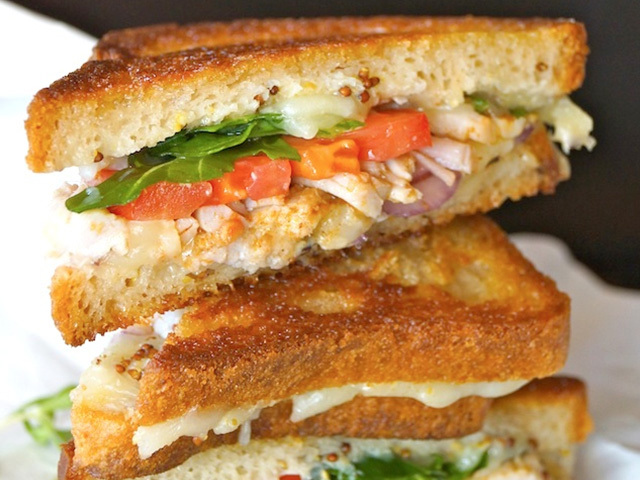 Add to that fresh tomatoes, greens, and melting cheese, and you’ve got a sandwich that will probably be one of your weeknight go-tos all through the season. Please note that this prep time does not include making the pork, which is a long but very easy process. Get the recipe for perfect pulled pork here. Step 1: Preheat a large, heavy-bottomed skillet over medium-high heat. Spread about 2 teaspoons of the butter on one side of each slice of bread. Then spread about one teaspoon of the mustard on the other side of the 4 slices. 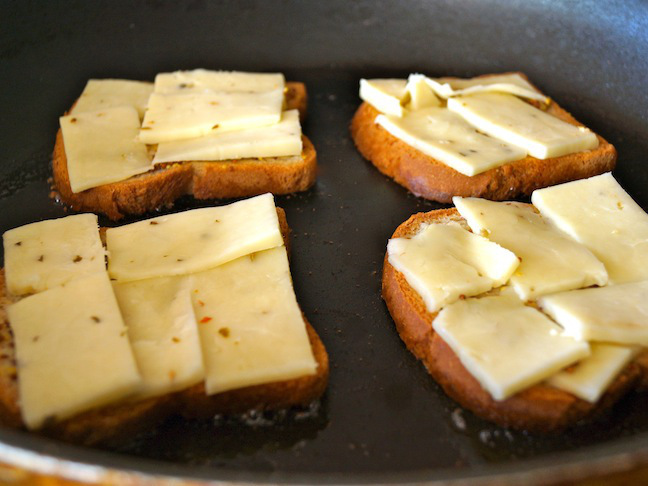 Step 2: Place all 4 slices of bread, buttered side down, in the preheated skillet, and then distribute ¼ of the cheese to each slice of bread, over the mustard. Reduce the heat to medium-low. 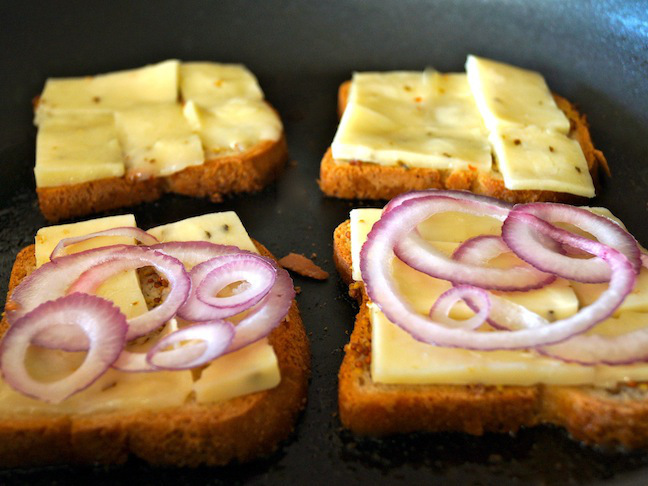 Step 3: Once the cheese is melting, add the onion slices on top of 2 of the slices of bread. 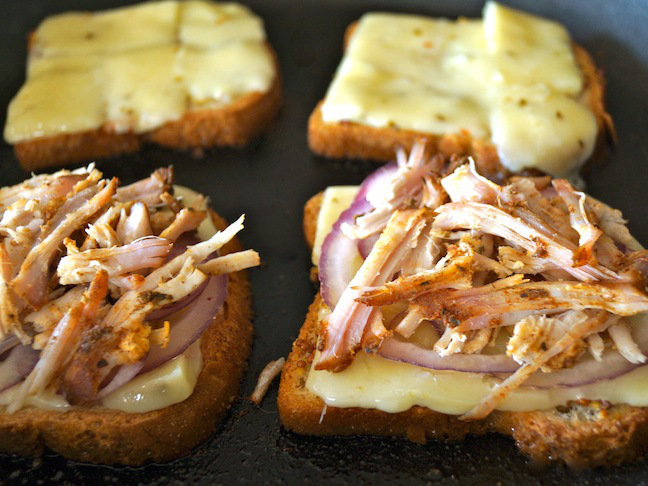 Step 4: Now add ½ of the perfect pulled pork (get the recipe here) on top of the the onions on each of the 2 slices. Step 5: Add 2 tomato slices on top of each portion of pork, followed by the greens. 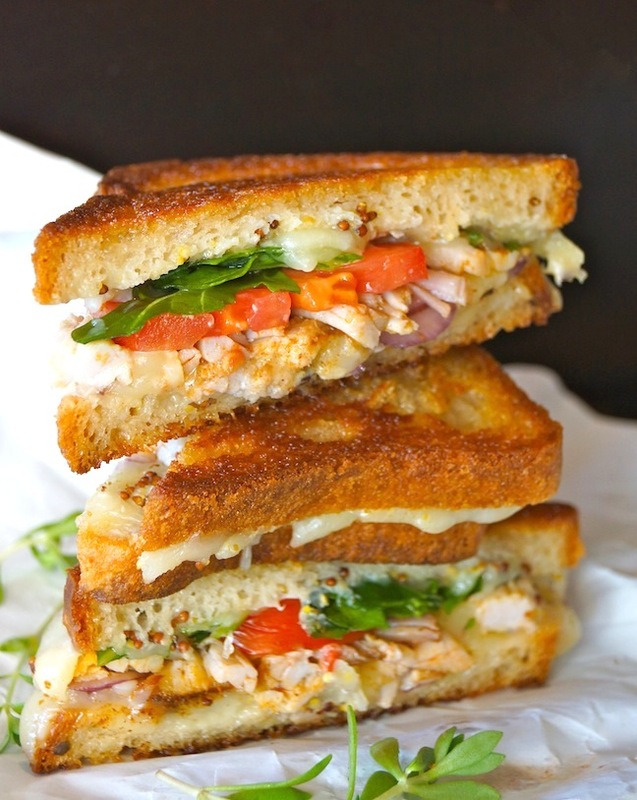 Step 6: Close the 2 sandwiches and gently press them down with a flat-bottomed spatula. Let it cook on low heat for another minute or so. 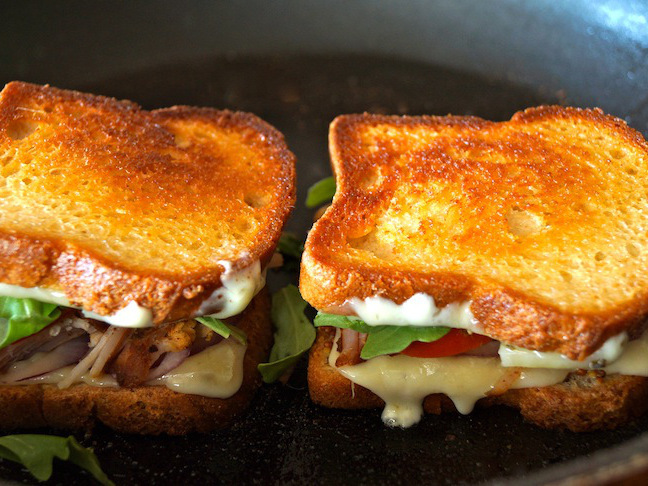 When it’s done, both sides of the bread should be golden brown and everything should be more or less held together with the melted cheese.